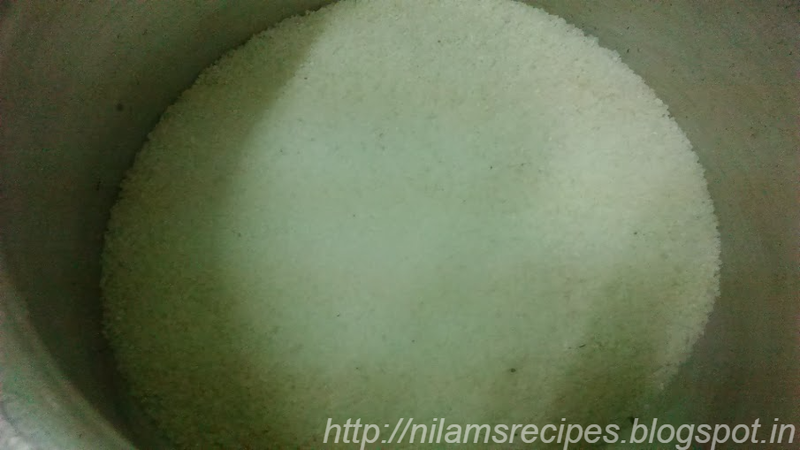 While the rice is slightly wet, take the rice in batches and grind in a mixer grinder to a coarse fine consistency. 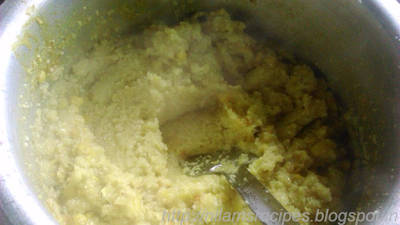 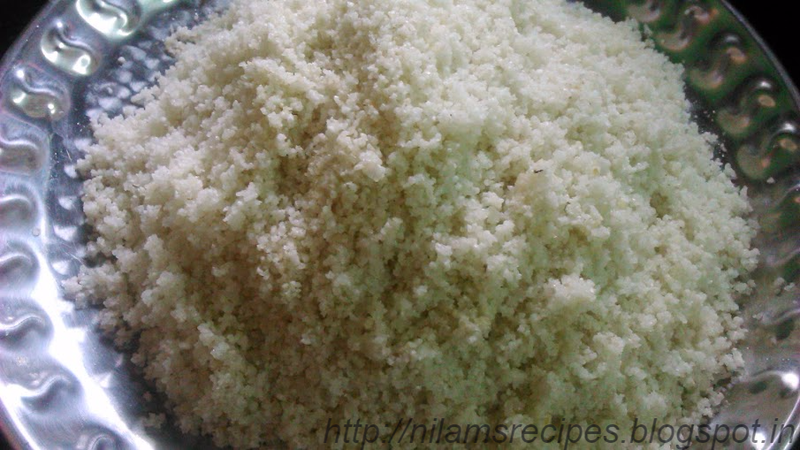 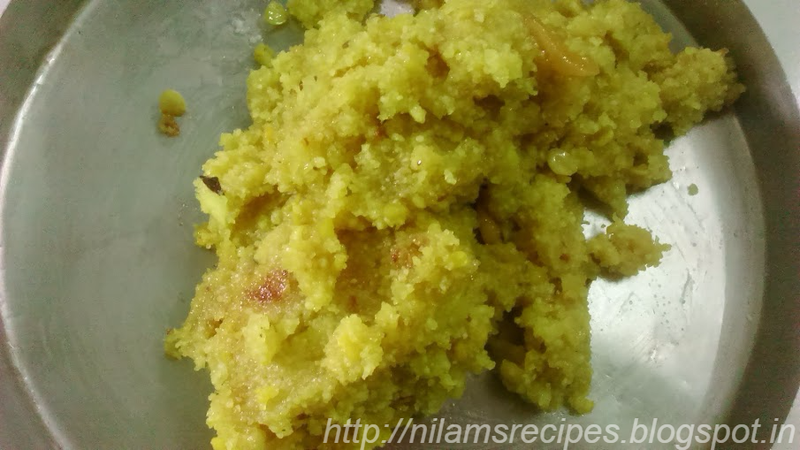 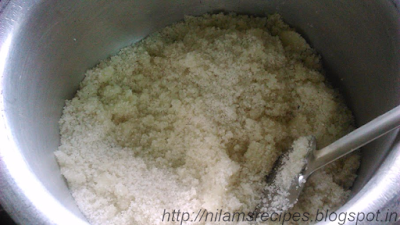 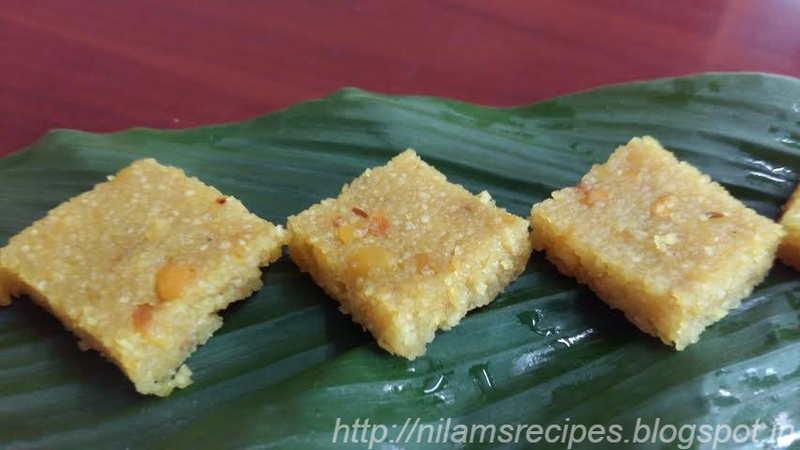 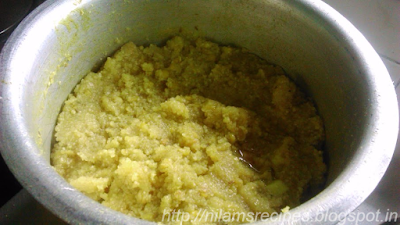 While using mixer grinder, care should be taken that the rice is not ground to fine flour. 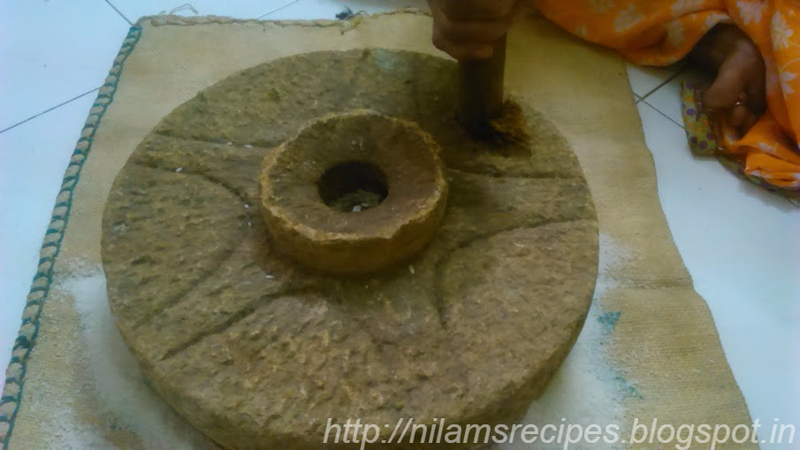 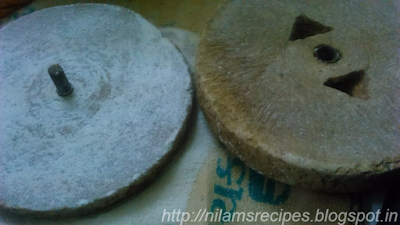 My mother has used the traditional millstone here, but you can use the mixer grinder at your convenience. 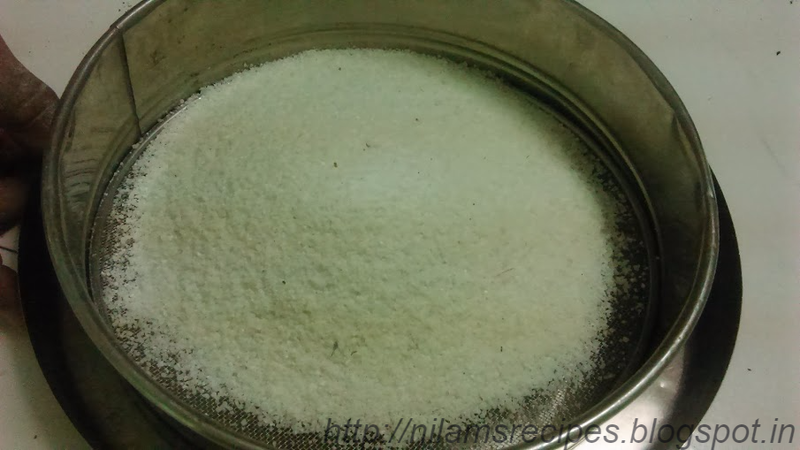 Sieve it and collect the flour if any. Dry roast peanuts and peel skin of it and keep aside. 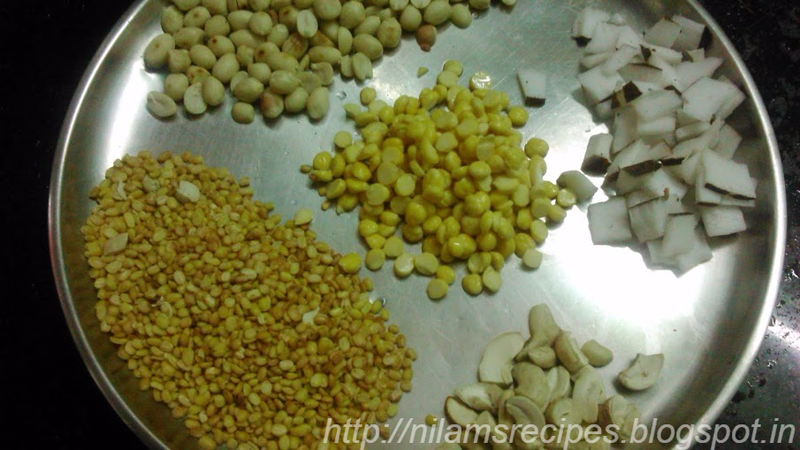 In a same pan dry roast moong dal and cashew nut. 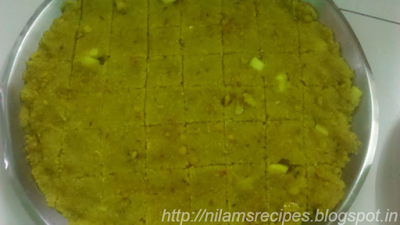 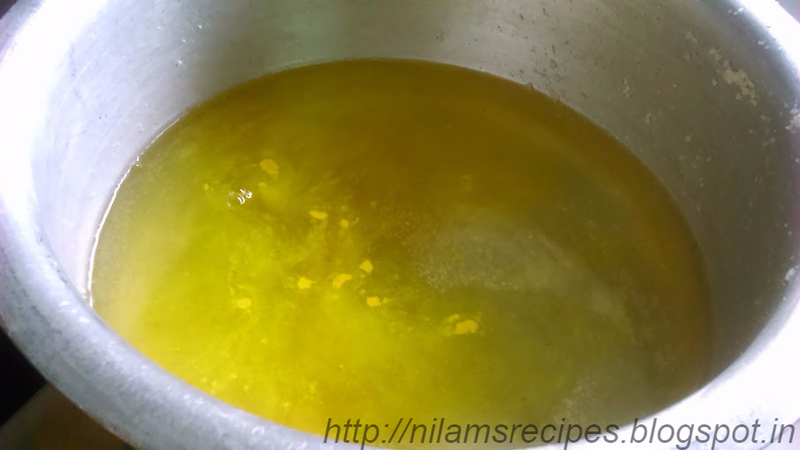 In a heavy bottom pan heat ghee and roast rice rava till 10 -15 minutes. 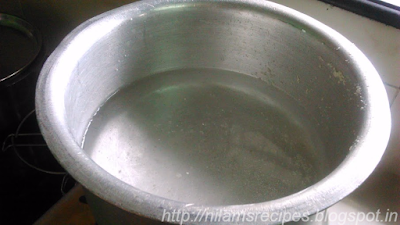 Remove it from pan and in the same pan add sufficient water. 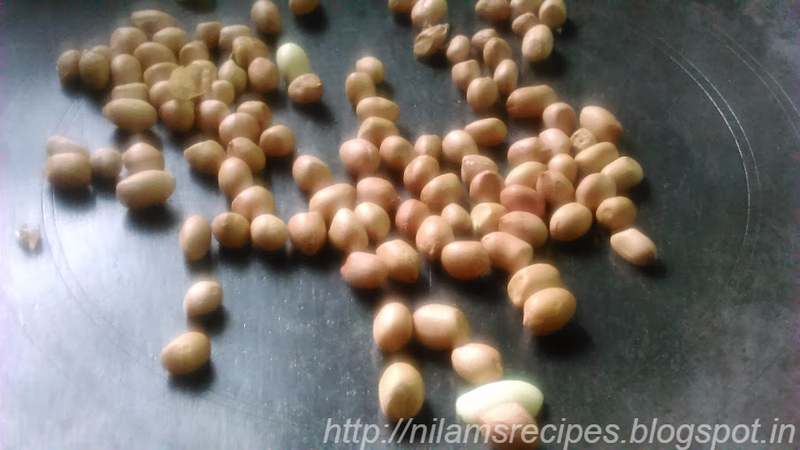 Once the water start to boil add salt, turmeric powder, cumin seeds, peanuts, cashew nuts, roasted moong dal, soaked chana dal, coconut pieces and let it cook. 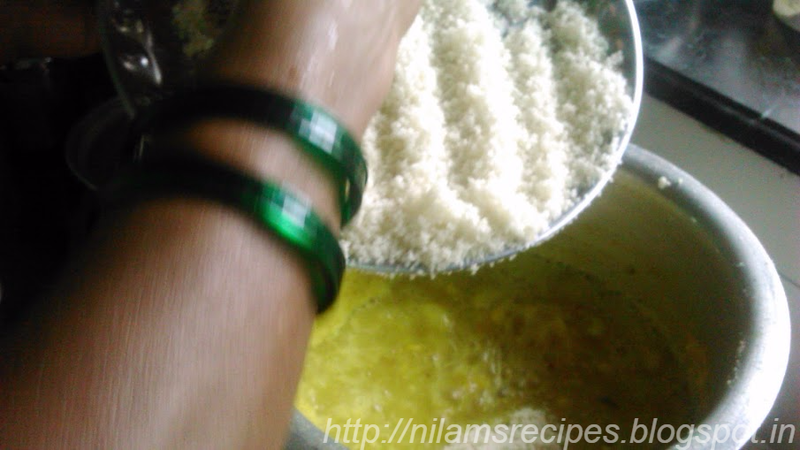 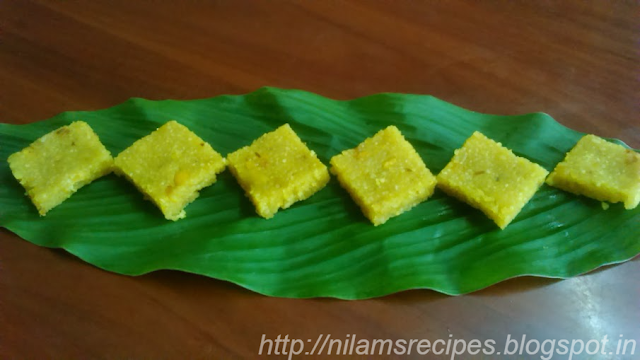 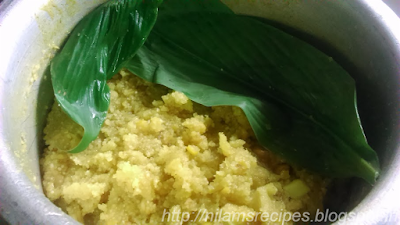 Add rice rava and cook till it absorb all water. 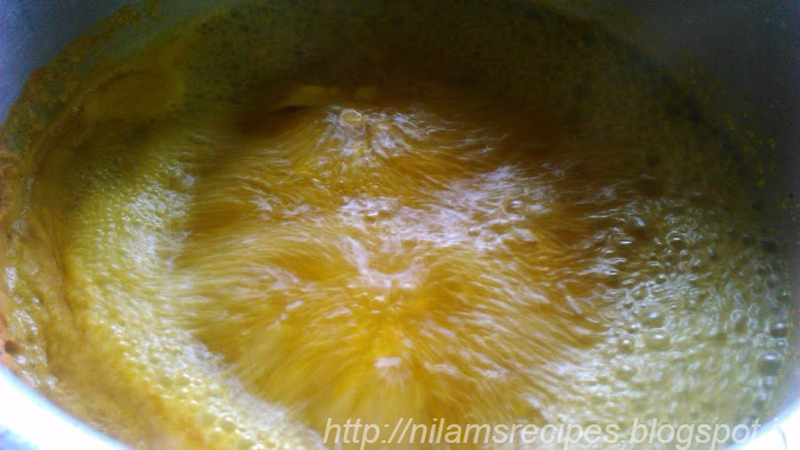 Once all the water absorb add grated jaggery and stir well. When it all comes together lower the flame and put in some turmeric leaves for flavor. Put a lid on it and let it cook for another 10 minutes. 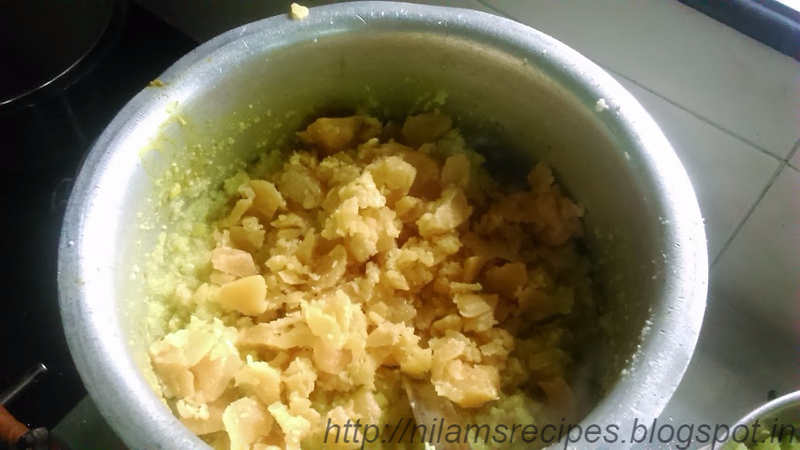 Grace plate or trey with ghee and add above mixture on it. 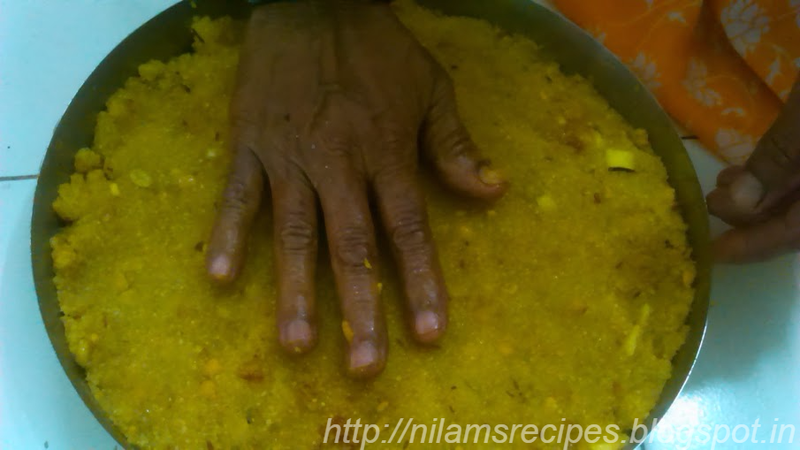 Spread it by using your hand.